Facility: nice toilets, one big table under a palapa roof, quite a walk with the equipment to entrance. If we order early enough, we even can get hot and fresh quesadillas. Despite the many snorkelers dails, is the property clean. It is ok that they have showers so that the visitors can clean off suncream and moskito repellent before heading to the water, it is our opinion, however, that water toilets are not eco friendly at cenotes as they waste precious ground water (solid waste is also much easier to recycle on spot as fertilizer) and we would recommend as a future investment to change to ecological toilets. Chikin- ha means water of the west. 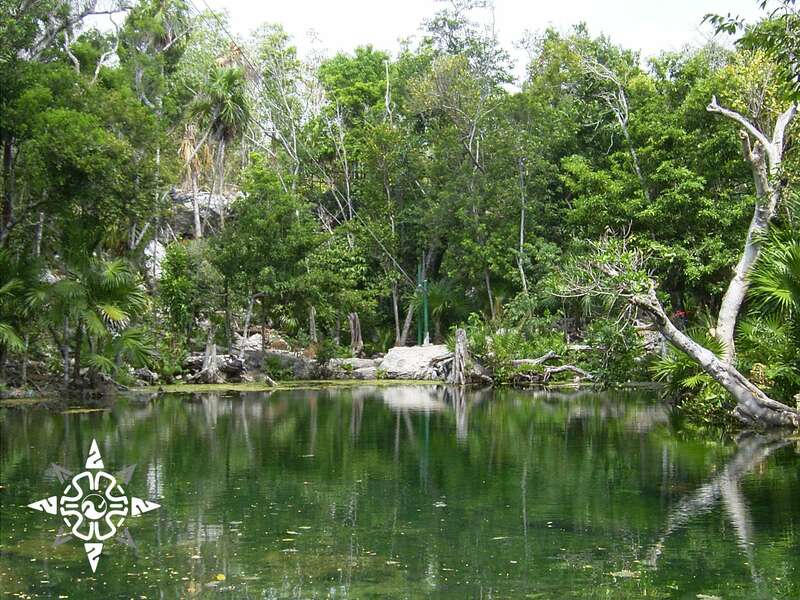 The cenote features only one cavern dive and for that reason is not so often dived. The line is quite long so if air planning is no concern we can easily dive up to 60 min there. A tunnel leads us into the halocline before we ascend into the shallower areas around cenote Rainbow. 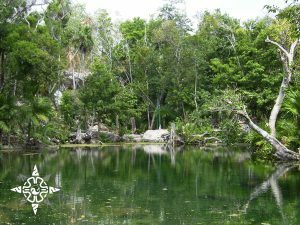 As the name suggest, the white sun beams are split into the different colours of the rainbow and when you look into the untouched surface, you will see where this cenote has its name from. Chikin- Ha has less formations, but the fragile stone is so fast dissolved that it uncovered numerous fossils of which my personal favourites are the many sea urchins that you can find there.